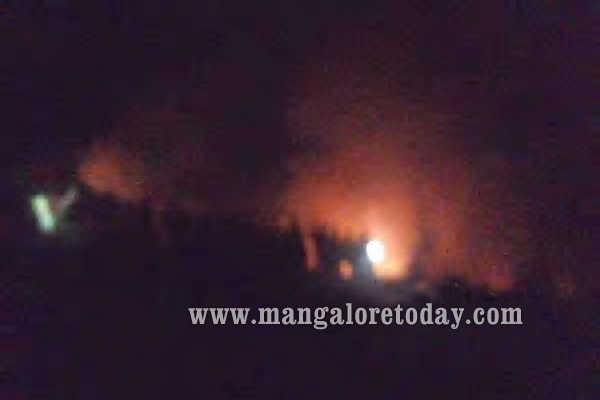 Kasargod, March 01, 2015: There was panic in Kasargod and several parts of the state of Kerala late night on February 27, Friday when a mysterious fire ball was seen falling from the sky. Reports also mentioned that nearly four acres of land in Paravooru was found burnt on February 28, Saturday. It is believed that the fire ball landed in this area.Surprisingly, rain with thunder and mild tremors were also experienced in the region further terrifying the people. It is learnt people in Kasargod, Chengala, Mogral Puttur, Idukki, Palakkad and Kozhikode districts saw the mysterious fire ball. In the meantime, Meteorological Department sources explained the phenomenon and said it might be the remains of a meteor. Suspected depression or an impact crater, believed to be caused by a ’fireball’ spotted on Friday night in several districts of Kerala, has been located in Karimalloor village in Ernakulam district today. The disaster management team which rushed to the spot suspects the crater could be caused due to a meteorite fall. "The samples collected by the revenue department have been sent for further verifications to GSI", said Sekhar Kuriakose, heading the disaster management team. 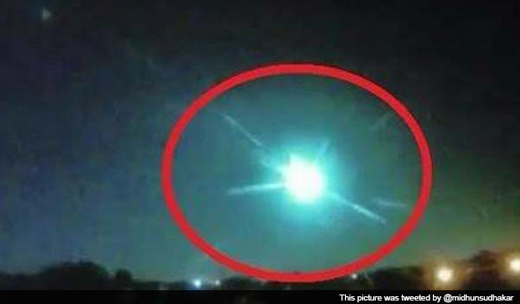 Residents of Thrissur, Ernakulam, Fort Kochi and Kollam tweeted seeing the ’huge fireball’ between 10 pm to 10.30 pm. According to the residents, a flash was seen across the sky and few cents of land in 2 different locations of Ernakulam district where the crater was noticed were also found charred. The locals said they felt tremors and witnessed sounds with the passing of the ’object’. However, authorities of the Disaster Management team dismissed speculation that the ’fireball’ could be celestial debris, as the consortium of space agencies closely monitors any space related activities and would have notified the management of any such appearance. Mr Kuriakose even dismissed the ’object’ as anything related to ’metal’ as Air Traffic Control radar system would have recorded it. Meanwhile, science author and cosmology researcher, Rajagopal Kamath, said that the ’fireball’ could be "a rocket or satellite debris. It also could be stony chondrite meteorites as in many places people have claimed that they have seen a bluish flame, which is peculiar to any meteorites."